The Oregon State Beavers entered their season finale needing some serious help to get in the NCAA tournament. Getting a victory over UCLA would certainly help their case, and the Beavers got said help in most of the most emphatic and dramatic ways possible. All of it courtesy of a very famous name — Gary Payton. No, not the glove, but GP2…a.k.a Gary Payton II. With Oregon State up just two (84-82) and the Bruins with the ball for what should’ve been the last play of the game. Instead, GP2 had other ideas and got the steal and the pass from a teammate for what can only be described as the most emphatic ending to a college basketball game this season. Payton II’s last-second dunk clinched an 86-82 victory and put Oregon State firmly on the NCAA tournament bubble. The Beavers finished the regular season with an 18-11 record overall, while putting up a 9-9 record in Pac-12 play. He is averaging 15.9 points, 7.6 rebounds and 5.3 assists this season and is likely in line for all-conference honors at the end of this season. Payton II is also top 10 in steals nationally and is shooting 52 percent on his two-point attempts on the year. As for what his exclamation-point dunk and subsequent victory for the Beavers does to their NCAA tournament hopes — things are apparently looking up. Currently ESPN’s bracketology expert, Joe Lunardi, has the Beavers in the NCAA tournament. However, they are likely to face a play-in game and Lunardi has them facing off with UConn for a No. 11 seed and a date with 6th-seeded Wisconsin. 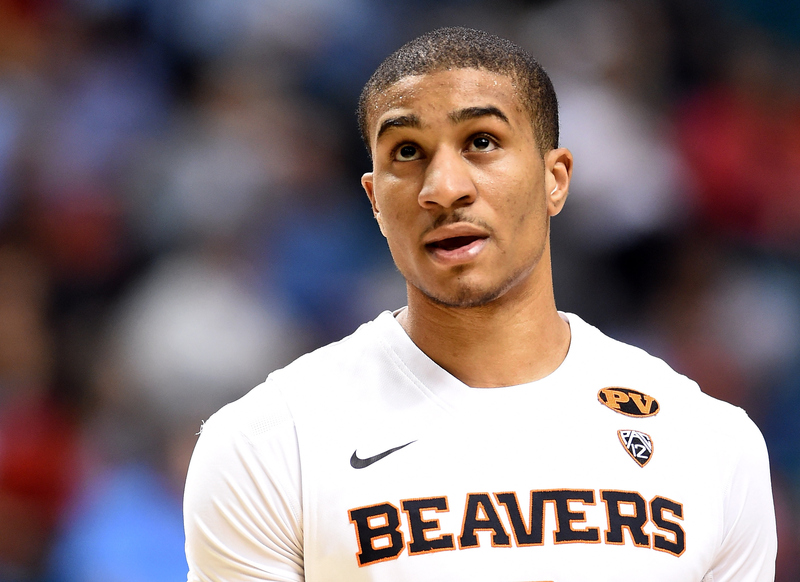 More of these types of clutch plays from Gary Payton II in the upcoming Pac-12 tournament and the Beavers may be squarely off the bubble and in the tournament.